There have been news stories and lawsuits recently focusing attention on long-simmering complaints about the treatment of minorities by large retailers (see: Starbucks; Hobby Lobby). 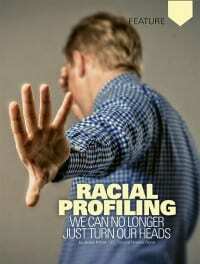 What can organizations do to avoid claims of racial profiling in retail stores? To start, retailers should have clearly defined and articulated policies against racial profiling and demonstrate zero tolerance for violations. Retailers should also give careful thought to criteria for monitoring a particular customer. Surveillance decisions should be based on objective, race-neutral criteria. Conduct periodic surprise store audits to ensure compliance, identify gaps in training, and weed out problem employees. Conduct routine auditing of video surveillance to see if loss prevention agents are monitoring individuals on the basis of race rather than behavior. Review security training practices to ensure use of explicit, scenario-based training and role-playing exercises; specific instruction on the subject of racial profiling; inclusion of sales personnel in training; mandatory periodic refresher training; and adherence to mandated standards for successfully “graduating” from loss prevention training. Make a point to warn loss prevention staff against trying to intimidate customers. “The majority of the complaints of racial profiling that I have seen in retail stores have to do with the perception of being stalked throughout the store in an effort to intimidate them into leaving,” said McGoey. Include off-duty police officers in loss prevention training. “You can’t assume that they understand the law or will act appropriately and fairly towards all customers, especially in the retail setting,” said McGoey. When a major New York City retailer faced accusations of racial profiling in retail stores in 2013 after the stopping and detention of two African-American customers, an internal review concluded that NYPD officers were to blame and that no store employee had engaged in racial profiling. Assess whether loss prevention staff reflects the broader community. “A minimally creative plaintiff’s attorney will use racial disparity in a store’s staff to suggest that the store enforces a culture of discrimination that extends to racial profiling in shoplifting detentions,” said attorney Alan Freeman (Blank Rome LLP). Ensure that supervisors and store managers actively manage staff and loss prevention, including in hiring, promotion, disciplinary action, and maintaining loss prevention statistics, so that problem situations can be identified and resolved at an early stage. Enforce a loss prevention policy that apprehension decisions are to be based upon objective, race-neutral criteria and uninterrupted observation. They should be carried out on-site but away from large crowds. Minimize use of force to the extent possible. Handcuffs, if used, should be employed only based upon an individualized and race-neutral assessment of need. Detentions and recovery quotas should be de-emphasized, and detention processing should be as humane as possible to reduce the likelihood of a claim of racial bias, says Freeman. Require employees to make a contemporaneous written record of each detention, providing a narrative description of the process by which they came to observe and detain the customer. Records should be stored in a central location and reviewed by supervisors for sufficiency and to identify deliberate or inadvertent employee misconduct. Enforce a policy of taking customer complaints seriously, documenting them as they are received, and promptly forwarding them for supervisory attention. A supervisor or manager should make the decision whether to collect a civil penalty and refer a shoplifter for prosecution and base it on objective, race-neutral criteria. Companies that attempt to collect civil penalties should do so only after the decision to prosecute has been made and communicated to the detainee, and the situation, including a statement that the decisions are not linked, should be explained in the detainee’s native tongue. Bilingual forms should be available. This post was originally published in 2017 and was updated October 24, 2018.